Every association website has a public section and a members-only section. The public section of the site is essentially a marketing tool. It exists so that passers-by can get a flavor of what the association has to offer, and hopefully it will tempt people into taking a closer look. The members-only section is where all the most valuable material resides. Here is where you find information-rich articles and white papers, exclusive videos and extensive training materials. Maintaining a balance between these two sections is one of the toughest aspects of content marketing for associations. If you don’t make enough material public, it could hurt your marketing efforts. Publish too much material in the public section, and members will start to wonder why you’re giving the farm away and what they're actually paying for. So where should you publish content? This is the material that you make available on the web without any restrictions. Anyone can read, download or share this content. Also, search engines can index the contents of these pages, which means that your site will show up in relevant search results. Con: Erodes on the ask to join or sign up for an association membership - public-facing content is available to all, so why join? Gated content is still open to the public, but with a small admission cost – your email address. Visitors are asked to provide their contact details before they proceed. Once they do so, they are either shown the page or emailed a link to the content. This is only accessible to logged-in users with the right type of account. For many members, access to this content is one of the main reasons that they have membership. They expect to have exclusive access to the best material, so this content needs to be of a much higher quality or of more depth, than what’s available on the public site. When Should Content Be Public? The main purpose of public content is to attract visitors to the site, ideally creating a fresh lead for your marketing automation platform. Visitors can find your site in one of two ways: search or direct traffic. You want your website to rank highly for relevant searches, such as “how do I get certified in [your industry]”. If you have content that’s rich in high-volume search phrases, you might consider making it publicly available. Direct clicks usually originate from social media. To get this kind of traffic, you have to publish publicly available content that people want to share with their peers, which usually means something that’s of real interest to potential membership, like some excerpts from your original industry research. When Should I Save Content for Paying Members? Education and certification are core offerings of most professional associations. While you can offer a taste of this material on the public website, the majority of educational content should be kept for the members-only section. When Should Content Be Gated? 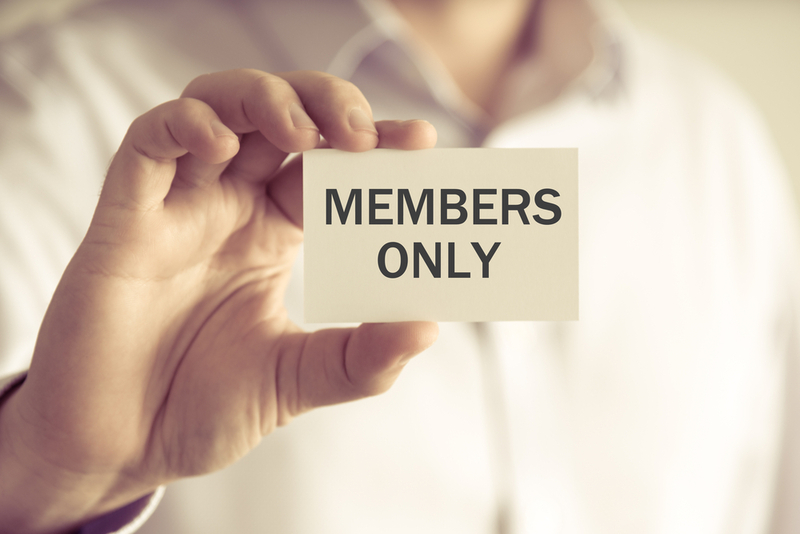 Gated content falls somewhere between public and members-only. While you still want to keep your high-value material for members only, you do need to offer some value in exchange for contact details. Often, the best strategy is to offer valuable material, but only a small amount. For example, a selection of white papers with a broad appeal can be a good way of generating interest. Visitors who access gated content should come away with a strong sense of the kind of value that membership offers. Striking a balance can be tricky, which is why you may need to get creative. Sometimes referred to as a “first click free” strategy, this is where the gate comes down on content after a certain amount of time. You can see this approach used on lots of newspaper and magazine sites, where you can read a limited number of articles before being asked to subscribe. The main advantage of this strategy is that all of your content will be indexed by search engines if your site is configured correctly. Also, you don’t have to decide whether to make something fully public or make it gated. You can create more than one version of content and place each version in a different part of the website. For example, if you produce a detailed white paper, you can write some public blog posts that quote statistics from that paper. These articles can then include calls to action, such as asking users to join the association for full access. Your educational material is likely to be the most valuable content on the site, as it is the most in-depth. For non-members, you can create alternative educational material that engages without offering the same depth. A quick start guide, for example, can be a few pages long and give an overview of some of the programming on offer. Quick start guides are ideal gated content and an excellent way to generate leads. Limited membership gives people a chance to explore the members-only content on offer before they commit to paying. This is a great method for converting leads, especially if your members-only offering is strong. Your publication workflow should be responsive to the actual demand. If you’re finding that website traffic is slowing down, then you probably need to make more content available. If engagement is falling off, then you may not have enough in the members-only section. If the website isn’t generating leads, then you may not have the right gated strategy. Ultimately, it’s all about attracting new members while creating value for existing members. 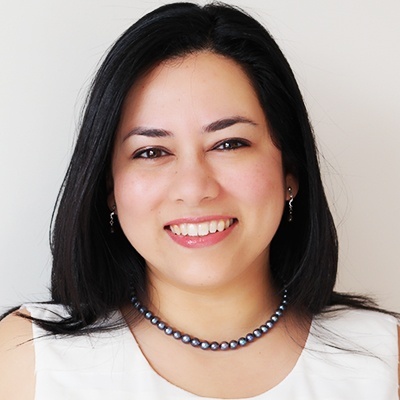 Maneesha Manges is a seasoned digital marketing professional with over 15 years of experience working in multiple markets and global companies. She currently leads HighRoad's Client Services team after having spent three years helping to develop and launch ExxonMobil’s Next Generation digital marketing properties in the US, Russia and China markets. Her prior experience includes consulting roles in digital marketing strategy, data analysis, field marketing and social media. Maneesha holds a Master of Business Administration degree in High-Tech Marketing from American University’s Kogod School of Business and a Bachelor of Arts degree in Economics from Concordia University in Montreal.